As a follow up to Pvt. Benjamin Ober's first letter after leaving Lancaster, here is Ober's last letter to the Daily Evening Express (predecessor to the New Era) as a soldier in the 1st Pennsylvania Volunteer Infantry Regiment. 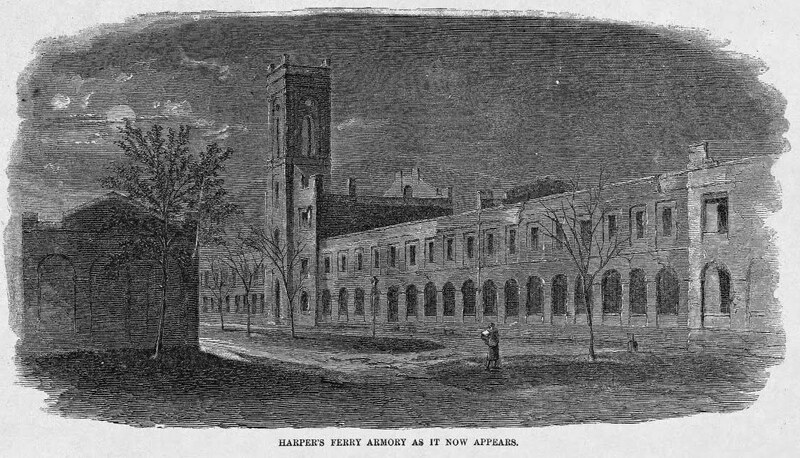 He writes from Harpers Ferry after a brief campaign in which Gen. Robert Patterson's forces had advanced into Virginia (now West Virginia) near Martinsburg. This campaign in early July 1861 actually ruined Patterson's career, as his failure to pressure Confederate Gen. Joseph Johnston's army allowed them to reinforce Confederates near Manassas and win the Battle of First Bull Run. Harpers Ferry, of course, was important as the host to a federal armory which Virginians promptly confiscated for the Confederate cause after seceding from the Union. 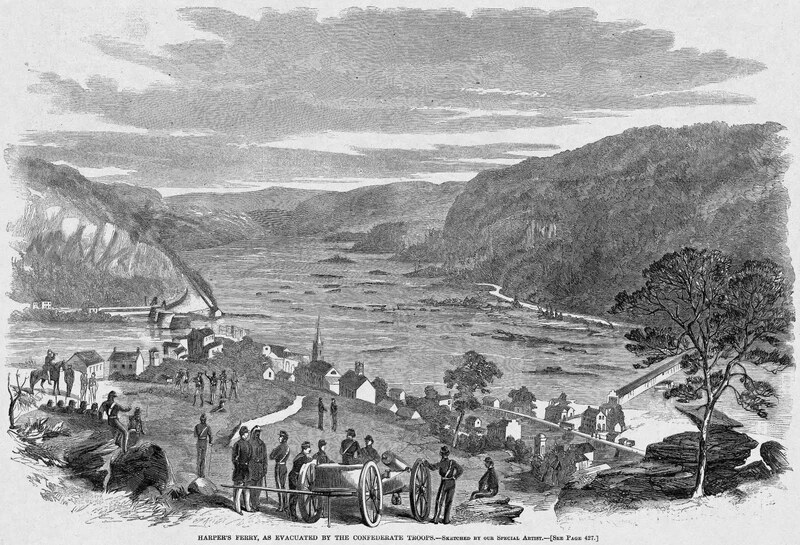 In additional to its fantastic scenery, the town's location where the Shenandoah and Potomac Rivers meet propelled it to the forefront of early-to-mid nineteenth century industry and commerce.